For the past three years, Aaron and I have been in a long distance relationship. He’s been at uni 4 and a half hours away on a coach/train whilst I’ve been at uni here in our hometown. Can it work? Yes it bloody well can, you just have to want to make it work. On the day this blog post goes live, 17th June 2018, is also our three year anniversary. So not only are we celebrating three years together in general, we are celebrating the end of three years of long distance. This also means that the majority of our relationship has been spent travelling backwards and forwards to visit each other (apart from the summer/xmas holidays). I honestly cannot tell you how good it feels to finally get what we want, to both be living at home and able to see each other when we please. Long distance relationships work for a lot of couples, but for others they just don’t work out. It definitely requires a lot of positivity, strength and love from both sides in order to want to make it work. But even when they do work, it can be mentally draining and quite upsetting when you just long to spend time with your partner. 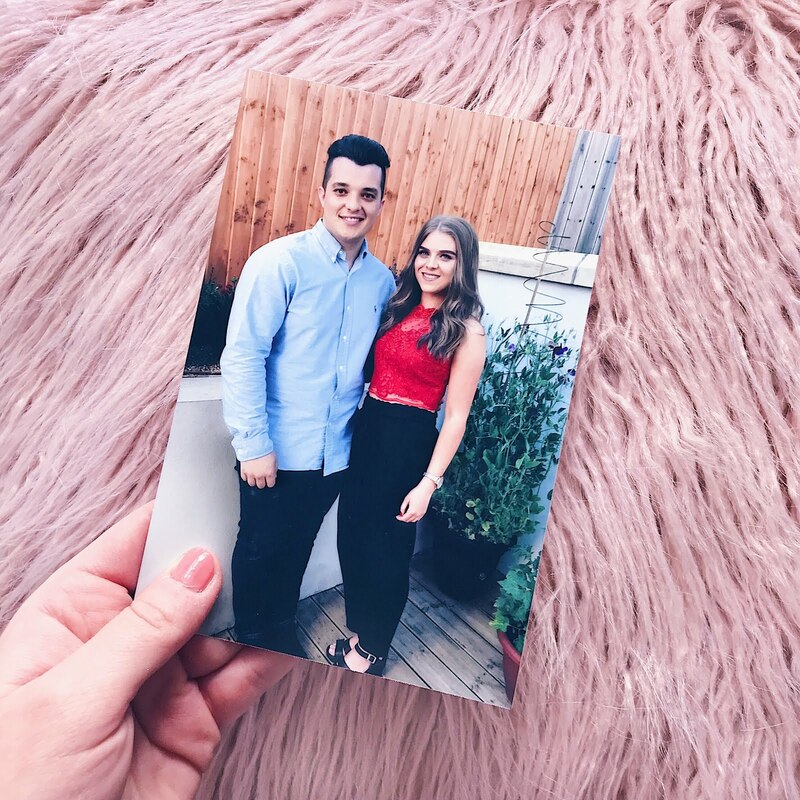 I have done a blog post about this before, but since people will be going to university soon (and potentially about to start a long distance relationship) and I now have two more years experience and knowledge, I thought I’d do an updated version with my top tips on how to make it work. Aaron and I visited each other every two weeks, which I know might sound like quite a lot for some people, depending how far away you live from one another. Having a visiting schedule does take the edge off slightly, as you can count down to when you next see each other instead of not having a clue how long it’s going to be until the next time. It takes a lot of commitment, because we had to make sure we had enough money to visit each other. With me living at home, I was lucky enough to be able to help Aaron out a bit when it came to train fares and coach fares. We would also often split the cost so it was fair. This really is key as it allows you both to have something to look forward to whilst you’re apart. I’d also say this is one of few perks to a long distance relationship because it allows you to appreciate each other’s time a lot more. Take the time to explore new places in your area to go for a walk or grab something to eat. One of mine and Aaron’s favourite hobbies is to find new lunch spots. You’d be surprised how many cool places you’ll visit when you’re putting more effort into your days out. A lot of the time, texts just won’t cut it. Schedule in FaceTime dates where you can really talk about your day and have a proper face to face conversation with your loved one. In my opinion, this is so important in maintaining effective communication with your partner and makes it a lot more bearable (what would we do without modern technology, eh!). Me and Aaron usually FaceTime late in the evening just before bed. It gives me something to look forward to and definitely means my day ends on a high. I often feel really sad and deflated on the day Aaron has left. From being so excited and happy on Friday turns into the complete opposite on Monday when I drop him to the train station. Saying goodbye gets easier over time but is never pain-free, and honestly, you just want nothing more than for them to stay. The best way to combat this sadness is to try and keep yourself busy whilst you adjust to life apart again. Arrange to see your friends and try to spend time with your family instead of sitting alone in your bedroom. This is usually the reason why a lot of long distance relationships end, because, for example, one is worried about all the new people the other might meet and that they might be forgotten back at home. If you have a strong enough bond and level of trust with your partner, this is easy enough to push past as you know they love you and want to be with you. In the long run, this makes your relationship so much stronger and will definitely set you up for the future. Because you live further apart and don’t see each other face to face, you might realise that certain feelings get bottled up from time to time. It’s so important to speak to your partner and let them know when you’re down about something. Let them know when you’re missing them or when you wish they were there with you. It really makes a difference by helping them to feel loved and realise that you’re thinking of them. I am SO happy that this era in mine and Aaron’s lives is over but I am also so grateful for the memories we made along the way and how strong we are now as a couple. Here’s to the future!